Because we’re local, we’re dedicated to providing our customers with the best possible service at a great price. We treat your home the way we would treat our own, so no matter the room, residence, or current situation, we clean with quality in mind. We also offer helpful cleaning tips, tricks, and insights for our customers over at the blog. My wife and I are really busy with our work and wanted to enjoy life just that little bit more without having to constantly worry about cleaning our house. So I decided to give Maid Zen a call, seeing as a friend of mine highly recommended them. My home looked and smelled great. We could tell they put a lot of thought and effort in providing an excellent service. We will definitely use them again! I love it when Maid Zen Cleaning Service comes and cleans my home. I love coming home and not having to worry about anything. They work around my dog :), and the place always looks fantastic. I recommend them to anyone who asks about cleaning service. Maid Zen Cleaning Service is awesome, extremely professional, trustworthy and thorough!! Love the fact their cleaning solutions are ALL natural!! 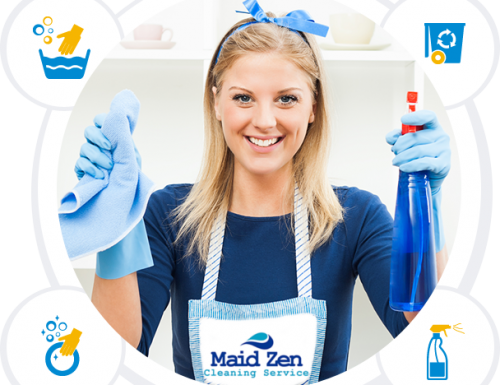 I found Maid Zen Cleaning Service while researching house cleaning services and chose their service because: 1. Their customer service was on point. 2. They gave an in-home estimate. 3. They were consistent. 4. They notified me they broke an item then reimbursed me quickly and apologetically for the item. 5. I was given a referral discount. 6. I live overseas now but highly recommend them! My wife and I recently bought a house and hired Maid Zen Cleaning Service to perform move-in house cleaning services before we moved. Every single communication with Maid Zen was handled with the highest level of courtesy and professionalism. Despite so many professional cleaning services to choose from my decision to use Maid Zen was very easy to make... We were made to feel like their number one, VIP client. The cleaning service they provided was also excellent... I have no reservation recommending them. We want everyone to feel like a VIP! We love your feedback. Give us a call or email us and we’re more than happy to fix a mistake or know what we’re doing right… Also, please take a moment to look at our reviews on our profiles below. I want to spend less time cleaning today!